Hasidism research papers examine this Jewish religious movement as one of the most influential since the beginning. Hasidism rose out of Eastern Europe in the 18th century to become a major force in Orthodox Judaism. Milton Aron calls Hasidism “the most influential Jewish religious movement,” and has been so since its beginning. 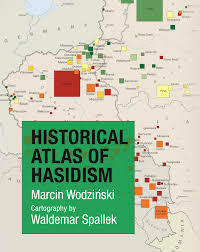 Hasidism can be directly traced from Rabbi Israel Baal Shem Tov (also known as Besht, an anagram from Baal Shem Tov) who lived and taught in the Podolyah Province of the Ukraine. From there, Hasidism spread to the whole of Ukraine, into White Russia, and finally into Poland, mostly due to the efforts of the disciples of Baal Shem Tov. The Hasidic movement was, in effect, Jewish revivalism. It was aimed at the total mobilization of the ordinary Jew’s emotions. Wherever it has spread, it brought an emotional intensification of religious life, in a manner similar to the various Protestant revivals in American history. Its historical founding can also be seen as an emotional reaction to the legalistic scrutinizes of Talmudism and rabbinism that characterized Judaism in the 18th century. Some have called it “the revolt of the illiterate,” where lower-class Jews began to fight for religious rights within a community that had defined them as incapable of piety. The Hebrew word Hasidim means “the pious ones.” In keeping with other forms of Orthodox Judaism, the Hasidim are dependent upon the Holy Scriptures to govern and guide their lives, as well as the 613 mitzvot (commandments), which are found (according to rabbinic tradition) in the Hebrew Bible as well as the Oral Laws and subsequent teachings. Paper Masters writes custom research papers on Hasidism and examine this Jewish religious movement as one of the most influential since the beginning.